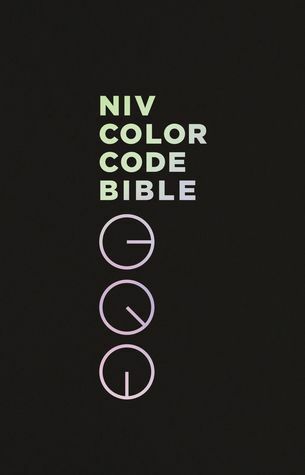 See God’s plan and key teachings of the Bible through this remarkable version of the NIV Color Code Bible. More than 3,000 verses are highlighted in colors throughout the text, drawing children’s attention to God’s Word. The NIV Color Code Bible for kids will teach your children key biblical truths on important themes and make learning the God’s Word fascinating and fun. More than 3,000 passages are color-coded on important faith themes. The first NIV version for children that is highlighted in full-color, this Bible will be simple for kids to read and understand. A vibrant 64 pages in the beginning of the Bible will explain the color system as well as offer expanded study help features especially for growing your child’s solid faith. The readable type, bold in-text subject headings, and color-highlighted verses all make this Bible a fantastic purchase for any child! Full of bright colors, memorization aids, and the never-ending truth of God’s Good News, the Color Code Bible is an exciting new way to study God’s Word. My thoughts: The NIV Color Code Bible by Thomas Nelson is a colorful hard back bible. This Bible has color code verses to help children (and adults) learn and expand their faith. There are sections for reflection and self study with easy to understand text. The front of the Bible has a colorful dedication page making this a perfect gift. There is a section in the back that allows you space to journal and/or notes. The maps are full color with lots of detail. Overall, a lovely colorful Bible that would make a great gift or nice treat for yourself.